Financial barriers to filling necessary prescriptions result in worse health for patients. They also result in increased use of taxpayer-finance hospital and medical care. In other words, they don't save anybody money in the long run. Recently the CD Howe Institute called on Ottawa to give provinces nearly $3 billion to establish national standards for catastrophic drug coverage and to mandate a system of transparent price negotiations with pharmaceutical drug manufacturers. Acting on those recommendations would represent a major step backward for Canada, one that would cost Canadians billions of dollars per year. The CD Howe Institute claims it is not feasible for Canada to implement what their own evidence suggests is the best pharmacare model -- national standards for universal, comprehensive coverage of medicines of proven value-for-money. They instead argue the feasible policy option is to have all provinces pay for drug costs that exceed three per cent of household incomes. This is surely "feasible" because as good or better drug coverage already exists for most people in most provinces without billions of new tax dollars provided by the federal government. The "feasible" model of catastrophic drug benefits is also already a proven failure for patients, businesses and taxpayers. How so? Catastrophic drug coverage fails to ensure universal access to necessary medicines. Numerous studies that have shown that deductibles under catastrophic drug plans act as barriers to filling necessary prescriptions. Residents of British Columbia -- the only province with exactly the kind of pharmacare program recommended by the CD Howe Institute -- are more likely to skip prescriptions because of cost than residents of provinces with more comprehensive drug coverage. If Ontario adopted the same type of coverage, as many as 68,000 elderly Ontarians would find their prescriptions too costly to fill. Financial barriers to filling necessary prescriptions result in worse health for patients. They also result in increased use of taxpayer-financed hospital and medical care. In other words, they don't save anybody money in the long run. The catastrophic model of pharmacare also imposes considerable direct costs on families and on the businesses who sponsor extended health benefits for workers and retirees. In 2003, when British Columbia adopted the model recommended by the CD Howe Institute, the private sector had to pick up an additional $134 million per year in drug costs. Today, in Ontario alone, a similar policy shift would likely increase employers' and families' drug costs by over $500 million. This brings up another key failing of catastrophic drug coverage: it does the opposite of controlling costs because it unnecessarily increases administrative costs and dramatically reduces purchasing power. Both of these outcomes result from involving private insurers in the financing of medically necessary prescription drugs. Private sector analysts estimate that up to $5 billion spent by Canadian employers on private drug benefits is wasted because private drug plans are not well positioned to manage drug pricing or the prescribing and dispensing decisions of health professionals. To remedy that problem, the CD Howe Institute recommends that provincial governments work to lower prices paid by private insurance companies through a transparent system of drug pricing in Canada. Sounds great in theory, but it won't work in practice. Why? The era of transparent pharmaceutical pricing is over. So many nations -- including Canada -- have historically regulated drug prices based on what manufacturers charge in other countries that firms now artificially inflate their list prices for medicines worldwide. Then, instead of giving every country price reductions offered to those with effective negotiating power, pharmaceutical manufactures now simply do price deals in secret. 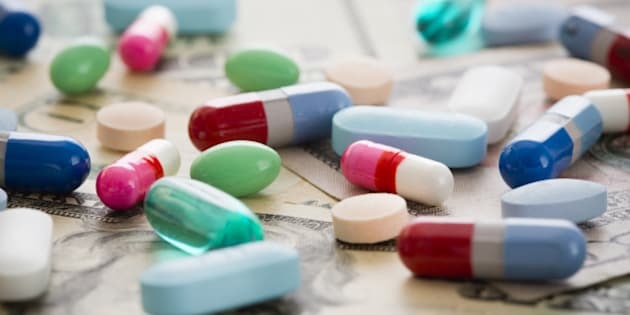 In effect, pharmaceuticals are now priced like new cars: there's a manufacturers "list" price, and then there is the confidential price that each customer actually negotiates. Recommending that Canada have a transparent system for drug pricing is equivalent to saying that our governments cannot negotiate deals. This would not lower prices for the private insurers incapable of negotiating on their own. And it would eliminate the opportunity for governments to save hundreds of millions of dollars per year on behalf of taxpayers. To act on the recommendations of the CD Howe Institute is a "feasible" way to squander billions of dollars of federal transfers on a model of pharmacare that will cost Canadian patients, businesses and taxpayers billions every year. Better, more equitable and sustainable options are viable for Canada, especially if $3 billion in new federal money is on the table.